Today I read the New Yorker feature on Bjake Ingels (whom we discuss in my Media + Architecture class in our lesson on comics, and who, as was mentioned a couple times in the article, was the subject of the first issue of CLOG). 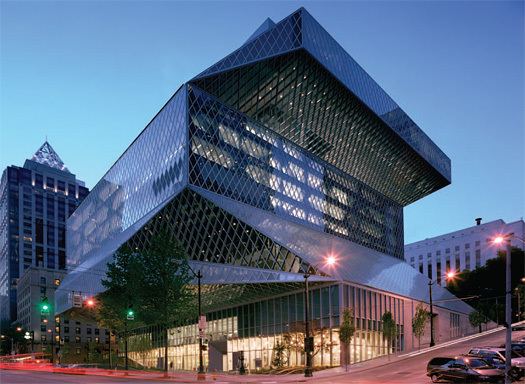 The piece mentioned Ingels’s work on the design for the Seattle Public Library, which, as anybody reading this probably already knows, was the subject of my dissertation — and a big part of my book. 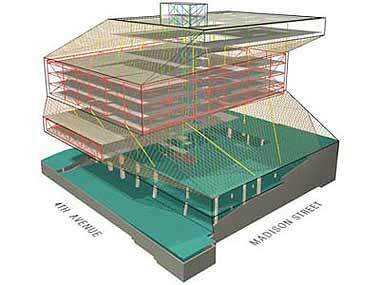 Anyway, it got me thinking about Koolhaas’s other library and educational space designs. So I went back to a draft of my pre-dissertation lit review and dug out the section in which I look at OMA’s previous library projects. The writing itself is rather embarrassing (I take everything at face value, and I quote way too much! ), but it was still interesting, for me at least, to revisit these projects — to see how concepts and forms are shared between the various sites, to consider how they foreshadowed the Seattle Public Library, and to examine how they individually and collectively represented a particular turn-of-the-21st-century epistemology. Please don’t judge; I was a 23-year-old fool when I wrote this (in 2000). 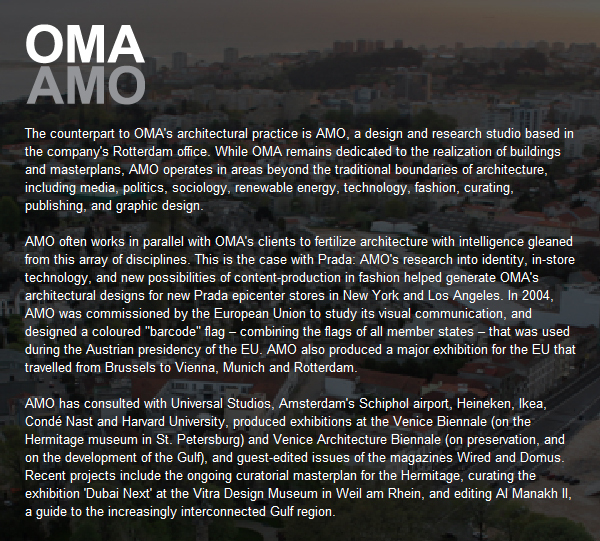 …His current commissions include a concert hall in Porto, Portugal; a student center on the campus of the Illinois Institute of Technology; three U.S. stores for Prada, the Italian fashion designer; the Dutch Embassy in Berlin; Guggenheim galleries for the Venetian resort in Las Vegas; the Los Angeles County Museum of Art; and plans for the development of the Whitney Museum of American Art and the cultural district around the Brooklyn Museum of Art. These new projects range from civic and educational architecture to exhibition and commercial architecture to urban planning. The variety allows for—and promises—a great deal of cross-pollination. In a preview of the Las Vegas Guggenheim project, the Las Vegas Business Press (October 2, 2000) raises the question of a “commercial entity using a nonprofit museum as a tourist draw” (p. 1). Nicolai Ouroussoff, architecture critic for the Los Angeles Times, raises another: “How does architecture assert its value in [Las Vegas,] a world saturated by manipulative advertising and mass-market entertainment?” (p. F1). Koolhaas has addressed similarly provocative questions in his previous designs—particularly in those designs that have never been built. One question he has explored in a few projects is how to house information in the digital age, or how information structures architecture in the digital age. 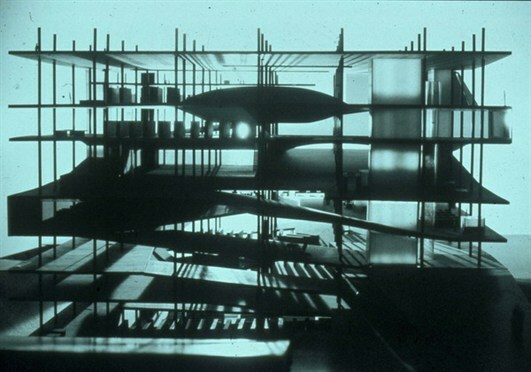 Koolhaas’s unrealized plans for the Library at Jussieu University in Paris; the Bibliothèque Nationale de France, also in Paris; and the Zentrum fur Kunst und Medientechnologie (ZKM), a “mediatheque” in Karlsruhe, Germany, show how OMA has become “specialists (in library design) without having built one” (Goldsmith, May 27, 1999, ¶23). Unfortunately, because there are no physical structures to tour, the Seattle Library Board missed the opportunity to explore OMA’s three conceptualized pseudo-libraries. Problem solving simply accepts the parameters of a problem given by society or, in the case of architecture, by the client. The object of design is then to work within those parameters until a solution to the problem is reached, a final design. This is how “the art of architecture,” traditionally represented by cultural institutions such as the Pritzker Prize [which Koolhaas won in 2000], and indeed by much of the architectural establishment, approaches the dramatic changes thrown up by the forces of globalization. Innovation…works by a different, more entrepreneurial logic where, by rigorous analysis, opportunities are discovered that can be exploited and transformed into innovations (p. 92). 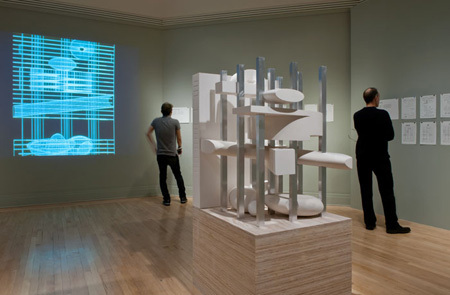 OMA has even opened a New York based office dedicated solely to “virtual architecture”—that is, “designs or redesigns of human environments that don’t resort to the tools of the construction industry” (Wolf, June 2000). “My ambition,” says Koolhaas, “is to modernize and reinvent the profession by making use of our expertise in the unbuilt….” (Wolf, June 2000). 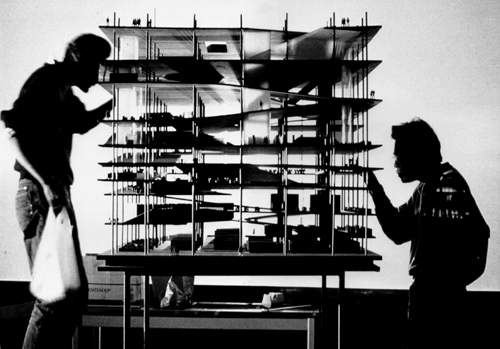 Koolhaas’s and OMA’s methodology for invention involves linking an architectural form to “a whole range of associations: mechanical, industrial, utilitarian, abstract, poetical, surrealist…” (Wortmann, 1993, p. 22). He considers the social, cultural, economic, and technological conditions in which a project must function—and allows those conditions to inform his design. Zaera Polo (1992b) claims that OMA’s recent work “tests a redefinition of temporal and spatial paradigms through material practices. It initiates a new approach to architecture as the discipline of material organization within post-capitalism” (p. 32). How do the social, cultural, economic, and technological conditions of a digital, global, post-capitalist system influence each of his library designs? Ayad Rahmani (Winter 2000), architecture professor at Washington State University, argues that Koolhaas is brilliantly capable of “synthesizing the metaphors of the electronic age, namely the idea of the Web, with the need to make for a new structural expression”—especially for the library—“in architecture” (p. 26). The science library with its relatively large proportion of closed storage areas is partly sunk beneath ground level, with the freely accessible storage facilities of the humanities library above. Both libraries are separated by the entrance and reception area, which is part of the urban axis linking the Metro station with the River Seine. This realm of social activities extends into the lower library in the shape of a double helix, forming an entrance to the conference center adjoining the library. This double helix of the lower part of the building consists of two elements: the vie sociale, a ramp with cafeteria, auditorium and squash courts, and the series of ramps serving the science library. Both of these ramps intertwine in one and the same space without touching…. 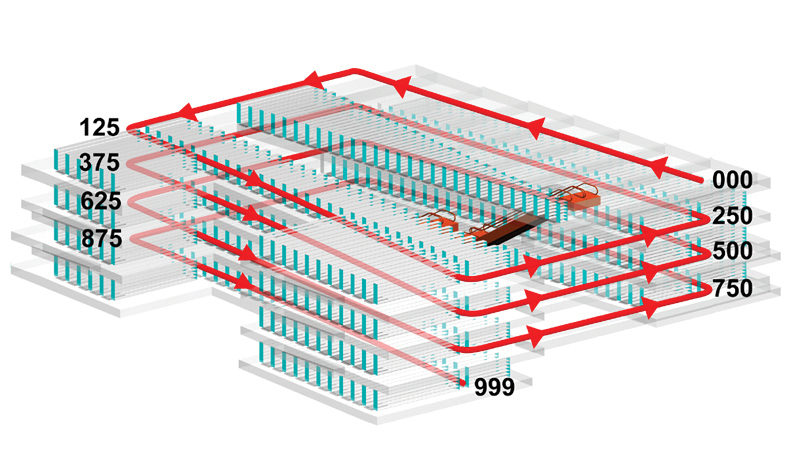 The individual superimposed floor levels of the building are cut and deformed in such a way as to connect with the next level above and below, forming a continuous circuit which winds through the entire building like a meandering boulevard lined with all the elements of the library like houses lining a street…. The visitor becomes a flaneur who is seduced by the world of books and information, of urbanist situations such as plazas, parks, monumental stairways, cafes, boutiques, etc., which supplement the program of the two libraries (Harbort, p. 81). Why should the science library include so many closed storage areas, while the humanities library affords free access to its materials? What does the placement of the building’s elements—the science library rooted in the ground with the humanities library above—say about the nature of scientific knowledge and about the knowledge of human constructs? Why should the social areas of the building extend into the research areas in the form of a double helix? What does this double helix structure, the structure of DNA, say about the social or educational functions of the library? Why should the building’s floors be integrated into a “continuous circuit?” What does this continuity say about the division of knowledge into classes and disciplines? Why should the “continuous circuit” winding throughout the library resemble an urban street? Why is the visitor regarded as a flaneur, and why should he or she be “seduced” by books and information? How does flanerie impact one’s mode of inhabiting the library space and the uses one makes of the space? What does this act of seduction say about the nature of knowledge and the processes of knowledge acquisition? Is the library obligated to play a role in this seduction? Has the library outgrown its role as a storehouse for knowledge and become a purveyor of info-tainment? These are among the questions that the Jussieu design raises. Sanford Kwinter (1992) asserts that “all of OMA’s recent urbanist work is about the setting into motion of dynamic self-regulating and self-driving informational ecologies” (p. 85). What kind of an informational, or media, ecology is “set into motion” at Jussieu? According to Alejandro Zaera Polo (1992b), partner of Foreign Office Architects in London and Tokyo, the Jussieu library embodies “the change of phase between diverse states of information: from the solid phase of storage to the liquid state in its active phase. …The amount of information is inversely proportional to the structure of the system” (p.45). In other words, more information is available in less structured systems. It follows that the most information-rich environments are those with relatively open, flexible floor plans and open access to their resources. Koolhaas proposed such an open plan for Jussieu. Instead of using fixed walls within the library, Koolhaas used movable and removable partitions, walls, and curtains to differentiate between open and intimate spaces (“Office for Metropolitan Architecture: Two Libraries,” Autumn 1993). As one author explains, these differentiated spaces serve not as a collection of rooms, but as a “series of incidents”—“and because every floor has different incidents, there is also a kind of identity for each floor. It is no longer simply a library but rather a system with many different components” (Harbort, 1993, p. 81). This notion of architecture “as a series of incidents” is an important part of Koolhaas’s design philosophy. According to Herbert Muschamp (February 25, 2001) of the New York Times, “Koolhaas excels in conveying the idea that architecture is an art of organizing urban relationships, not the styling of discrete objects in space” (p. 42). Koolhaas’s approach to design lies somewhere between architecture and urban planning. He claims allegiance to a “New Urbanism”—a term Koolhaas uses to refer to a design method concerned not with “the arrangement of more or less permanent objects but with the irrigation of territories with potential”; a method aiming not for “stable configurations but for the creation of enabling fields that accommodate processes that refuse to be crystallized into definitive form”; a method not about “separating and identifying identities, but about discovering unnamable hybrids”; a method obsessed “with the manipulation of infra-structure for endless intensifications and diversifications”; a method committed to “the reinvention of psychological space” (Koolhaas, Winter/Spring 1995, p. 19). In creating “psychological spaces” instead of buildings and rooms, Koolhaas focuses more on the human experience of space than on the autonomous existence of the space itself. 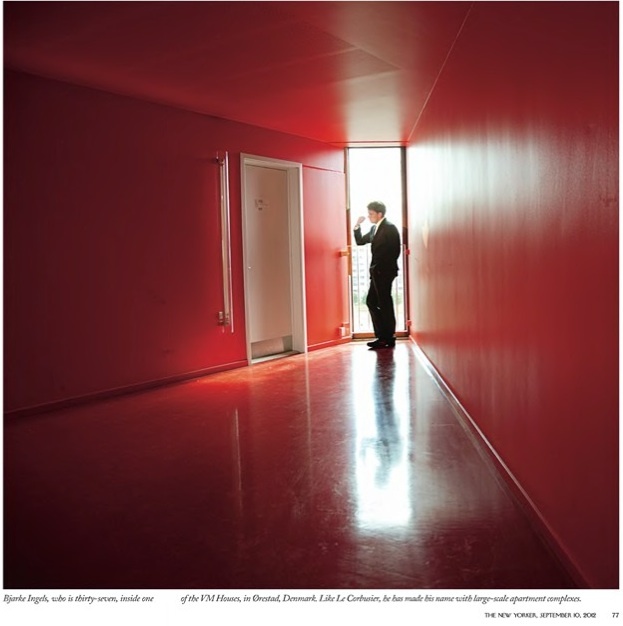 In fact, he approaches architectural design in much the same way that a filmmaker approaches cinema. In an interview with Arthur Lubow (July 9, 2000) of the New York Times Magazine, Koolhaas, a former screenwriter, explains that architecture, like film, involves the design of “episodes” and “montage” (p.37). “It’s very scripted, the way people move and the possibilities he leaves for people in his buildings,” his partner, artist Madelon Vriesendorp, acknowledges. “The experiences are laid out…. He sees a space and he sees what could happen—a scene in space” (Lubow, July 9, 2000, p. 37). At Jussieu, the library is more than a building; it is an experience—a research experience, an informational experience, an urban experience. And in the design process, Koolhaas is more concerned with negotiating the experience, or the empirical functioning, of the library—and hence its “operative” ideology—than in redefining the institution linguistically. As Zaera Polo (1992b) explains, “OMA’s…work seems to indicate a new beginning with a basis that is not linguistic or textual experimentation, but the proposal of a series of geographies or topographies whose meaning is fundamentally operative rather than significant” (p. 35). Although the negotiation process itself often requires establishing a linguistic or textual articulation of the ideas, ideals, and values embodied in a design, the physical building provides an “operative” embodiment of those ideologies. In other words, there is always primarily an engine, be it discursive or diagrammatic, never a design that is introduced in the urban milieu to be reconfigured. It is never a question of organizing a space at the outset, but rather of unleashing, triggering, or capturing larger and already existing processes (Kwinter, 1992, pp. 84-5). One of these “larger and already existing processes” is human movement, or existing circulation patterns. Consequently, another key concept explored in, or another “engine” that is driving, Koolhaas’s design for Jussieu is that of circulation. As Harbort (1993) maintains, the 1.5-km long boulevard winding throughout the building at a two- to four-percent slope provides for an “urbanist” means of movement—but the library’s elevators and escalators offer movement of another sort. If the architectonic movement of the ramps is indeterminate and ambling, the mechanical movement of the elevators and escalators is linear and determinate. Together these two types of connections form a complex network of spatial relationships, a variety of different paths through the building (Harbort, 1993, p. 81). These two methods of movement symbolize two means of information gathering. The “meandering boulevard” fosters a “flaneurial” type of information gathering. Visitors may stroll through the stacks and browse through the titles on display. In the process, they may find themselves “seduced” by flashy book covers or computer interfaces—or they may discover interesting resources through serendipity. The direct route made possible by elevators and escalators allows for a “linear and determinate” means of movement throughout the building; as Zaera Polo (1992b) acknowledges, “it was always the revolutionary potential of the elevator to introduce a new era of liberated and randomized relationships between different components of a building” (p. 68). But inside a library this transportation technology also fosters also a “linear and determinate” approach to research. The visitor can enter search terms into a computer database, identify a resource that he or she wishes to access, and then take the elevator directly to the floor where that book is shelved—with no wandering or exploration en route. He or she retrieves the material, takes the elevator back downstairs to circulation, checks out his or her book, and departs. The elevator thus makes possible a “new era of liberated and randomized relationships between different” resources in a library, too (Zaera Polo, 1992b). 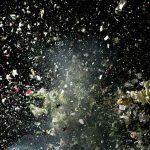 The ephemeralization of information, the increasing speed and quantity of information, and the challenges of accessing and sifting through that information—all are among the “social, political, economic and technological disruptions wrought by globalization” (Speaks, July 2000, p. 92). And according to Koolhaas, his work is “aligned with the forces of modernization and the inevitable transformations that are engendered by this [modernizing] project which has been operating for 300 years” (Lootsma, January 1998, p. 40). His design for Jussieu is in part a response to the speed of information and to the disintegration of the city center. The library becomes a city—a social network—in and of itself. The interior of this urban building can be read from the outside like an x-ray photograph, revealing the dialectic between the regularly spaced needle columns and the irregularly deformed floor levels. Floating within this structure are various enclosed volumes: reading rooms, separated studies, the cabins of the hydraulic elevators, book repositories, etc. Looking from the Institut du Monde Arabe, the building appears so transparent as to be almost invisible. If the building thus seems to dissolve when seen along the green axis (gardens along the river), it shows a stronger presence along the urban axis, facing the city (p. 82). The library’s visage thus depends upon the perspective of its beholder. This dynamic appearance conveys both a sensitivity to context—that is, an attempt to make the structure harmonize with its natural and urban surroundings—and an awareness of the dynamic nature of the institution itself. The building’s varying opaqueness and transparency could even symbolize the two kinds of resources—digital and physical—held within. What sort of image, and what basic functions should the library, with its massive stock of books, possess? 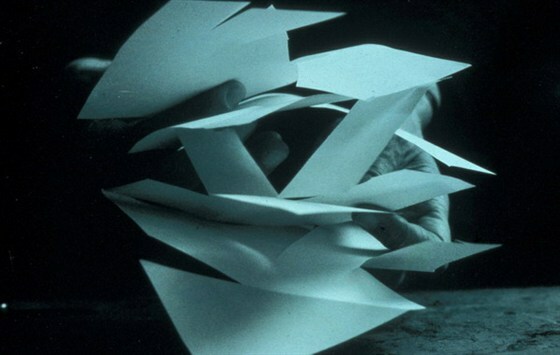 The information processing activity of symbolizing and classifying books, which possess their own microcosmos, and further simply arranging them, specifies the architectural program itself. The virtual space of a vast and transparent information matrix is created here. A physical space indispensable to the life of the campus, the library is also a communication space for people on campus. The pliant human body, the space of the gardens that receives and terminates the circulation flow, and the hard edge of the city as a perceptual information space all come together here (pp. 92-3). 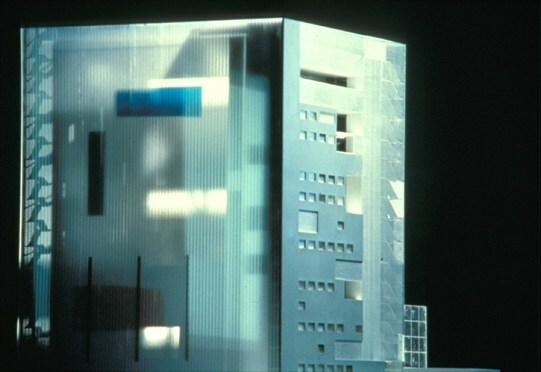 Koolhaas again plays with the ideas of the virtual and the physical, solids and voids in his 1989 competition entry for the Bibliothèque Nationale de France (BNF). President Mitterrand called for “an entirely new (building) type,” and, according to Claire Downey (February 1990), the Paris correspondent for Architectural Record, “the competition for the Library of France provided the opportunity to explore both an architecture of addition—to Paris, to the history of library design—and a point of departure that envelops new technologies and techniques” (p. 123). In other words, the competition involved the re-thinking the ideologies of place and of library that are embodied in this important civic building. As Koolhaas says in his 1995 monograph S,M,L,XL, “we became more and more resistant to the norms of architecture in which everything has to be resolved through the invention of form. We sought for the first time to really invent, architecturally” (p. 24-5). The three-million-square-foot space was to include five different libraries: a cinemathèque, a library of recent acquisitions, a reference library, a catalog library, and a scientific library—“each with its own idiosyncrasies and its own public” (Koolhaas, 1996, p. 23). Because 60% of the program consists of public spaces and storage, Koolhaas proposed that all the storage “could be seen as one enormous cube, and then all the public spaces could simply be excavated” from that cube (Koolhaas, 1996, p. 25). His design begins with a “solid block of information, a repository of all forms of memory, books, optic discs, microfiches, computers, etc.” (Zaera Polo, 1992b, p. 68). The major public spaces are integrated as “absences of building, voids carved out from the information solid”—with the most highly public spaces located at the lower parts of the building, and those areas requiring darkness located at the core (Fisher, April 1990, p. 125; Koolhaas, 1996, p. 26). Koolhaas refers to these carved out spaces as “multiple embryos floating in a field of memory” (Ouroussoff, April 17, 2000, p. F1). Why should the materials storage areas be envisioned as, variously, a “solid block of information” and “a field of memory”? Are not these two images of the “solid block” and the memory “field” somewhat opposed? What does this imagery—and the seeming contradiction in the images—say about the materials housed in the library? What ideologies about library does it embody? And why should the public areas be regarded as, alternatively, “voids,” and “embryos”? Can these public areas represent both absence, through the void, and life, through the embryo? What ideologies of public do these “absences” and “embryos” imply? Furthermore, in Koolhaas’s design each of the voids has a distinctive shape. The Sound and Moving Image Library resembles, according to one critic, pebbles. The Recent Acquisitions Library is a cross-shaped space containing audio and television viewing spaces that slope toward the river and intersect at an amphitheater. The Catalog Room takes the shape of egg, and it provides a panoramic view of Paris. The Research Library is housed in a loop or moebius strip. And the Reference Library is a continuous, thrice-twisted spiral that connects five floors of semi-open storage and study carrels (Fisher, April 1990, p. 125; Zaera Polo, 1992b, p.70). Zaera Polo (1992b) explains the significance of these shaped absences: “Since they are defined as voids, the individual libraries can be spaces defined strictly to their own logic, independent of each other, of the external envelope and of the classical obstacles of architecture…” (p. 68). But what is the logic behind the choice of shape for each space? Why should the Recent Acquisitions library resemble a cross? And why should its multimedia areas converge at an amphitheater? Does the theater’s positioning at this confluence point suggest that this classical auditorium—and the oral culture that it represents—still play a key role in our contemporary media culture? Furthermore, does the egg shape of the Catalog Room imply that knowledge and enlightenment are nurtured and hatched in this area? Or are these shaped purely functionally derived? Canadian Centre for Architecture Exhibition, 2012 (which happened to be up while I was in residence there this summer) Via Abitare. Although each public area differs in form and function, these public spaces are all linked by escalators to provide continuity throughout the entire structure. “Ordering the apparently arbitrary spatial forms is a series of parallel shear walls and a grid of nine elevators” (Fisher, April 1990, p. 125). 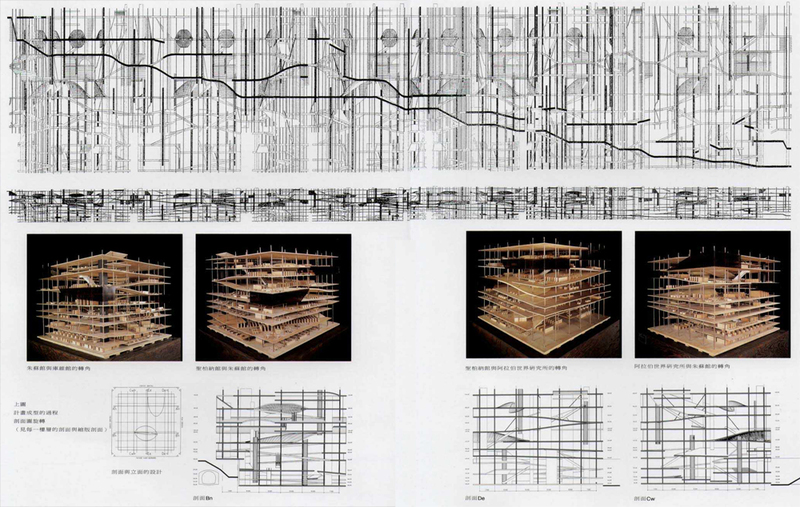 Downey (February 1990), in her review of the BNF competition entries, imagines that Koolhaas’s nine elevators enable one to move through the building “as if though ideas and information, almost like tracing the plan of a computer chip, yet far more serene” (p. 125). What does it mean to inhabit information—to view knowledge as a physical landscape through which one can glide in a glass car? Koolhaas (1996) proposed: “the elevator shafts…could be electric signs whose words, texts, or songs represent the destinations of the individual elevators. All these letters, moving up, would make the building seem to hover, entirely supported by the alphabet” (p. 28-9). It is significant that the alphabet provides the structural integrity for this highly digitalized library. Standing amidst this core of elevators is the Great Hall of Ascension, where floors of glass “display the building’s treasures” (Zaera Polo, 1992b, p. 70). 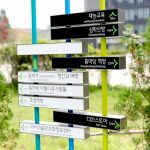 What ideologies are embodied in this transparent building material, in the techniques of “display”? From the great hall one can also view vertical electronic billboards on each of the elevator shafts. Even the building’s glass facades, of varying degrees of transparency, become projection surfaces. 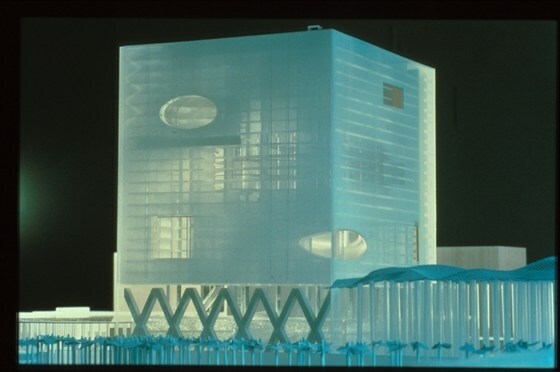 Koolhaas (1996) explains, “We thought we could use glass in such a way that it sometimes made disclosures. Sometimes, like a cloud, it would obscure what was happening behind, and at other times it would simply block what happened by being opaque” (p. 30). Other building elements play optical illusions, appearing at times as windows, at other times as tunnels, and at still other times as what Zaera Polo (1992b) calls “polished stones” (p. 74). According to Downey (1990), this architectonic and optical play symbolizes that “word and image are joined. The library…can become as much of an information transmitter as any video screen, turning the building itself into a readable surface and collector of images” (p. 125). Thus, the library itself becomes a resource, a text, a medium. The historical library, the memory of national knowledge, already appears to be a thing of the past, given the present technological possibilities, in both its form and function of storing books and—in particular—as a site of academic work. The “media center,” which everyone is now talking and thinking about, is a phenomenon which has yet to be defined precisely with respect to its real performance, function and appearance. The architect, when designing, participates in a “hare and tortoise race” in which the hare of communications technology will always be a nose ahead of the architect-tortoise (and his well designed information container) (p. 123). In other words, the ideologies that come to be codified in the media center do not entirely precede the process of architectural design, but emerge and are negotiated in the design process itself. They are constructed along with the building. 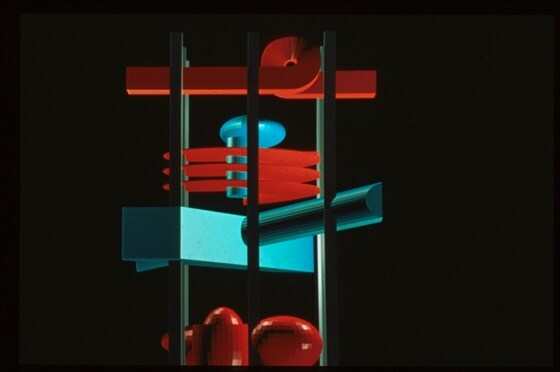 According to Jeffrey Shaw (n.d.), Director of the Institute for Visual Media at the ZKM, the Center was originally proposed in 1984 as the centerpiece of an urban enhancement project and did not reach its “final definition” until 1989. Koolhaas was selected to design the facility—but on July 16, 1992, the city council voted to abandon the project (Office for Metropolitan Architecture, Koolhaas, Mau, 1995). In S,M,L,XL (1995), Koolhaas writes that the “fiasco showed that even where such a culture needs recombinations, the inevitable slowness of architecture—its inability to embody experiments quickly—tends to obliterate the fragile opportunities that occur in the unstable constellations of political and economic forces that indeed seal our fate” (p. 763). The ZKM was later realized, by another architect, in “a massive monumental industrial edifice built in 1918 as an armaments factory” (www.zkm.de, ¶3-4). This seems an oddly appropriate site to house an institution dedicated to forging “new meeting grounds between art, science and society,” to nurturing “artistic achievement in the various fields of the media arts” and bringing “new qualities into the evolution of our technological culture” (www.zkm.de, ¶2). The classical city of Karlsruhe in itself contradicts the presence of a futuristic center of Art and Technology; while the railway station building is oriented toward the city center, the ZKM is oriented toward the periphery; part of the program accommodates research for the artists, while the other part is devoted to the public; the museum for modern art offers a spectrum of exhibition possibilities ranging from traditional to experimental (p. 118). Furthermore, at that time, “nobody knew exactly what a ‘Medienzentrum’ really was, or ought to be” (Werner, 1991, p. 78). “How then was it possible for an architect to define a…program, not to mention an architectural form, for something that could no longer be imprisoned in concrete materials, and for which he could find neither examples to serve as a comparison nor typological precedents?” (Werner, 1991, p. 79). There is an incredible pressure for the media to always change, in terms of both its content and its form. What is different about doing a museum for media is that curse of continuously accelerating events, combined with the problems of creating real space as well as space that is virtual, ephemeral, or destructible (pp. 34-5). not a single entity, but a multiplex consisting of a number of synergetically interrelated departments. The Museum of Modern Art…is a permanent collection of major international artworks with the emphasis on contemporary media art relations and with the intention to show the historical continuity of media art in relation to traditional forms. The Media Museum…is a popular science museum with specially made exhibits that offer the general public ways to better understand the nature and future directions of our technological culture…. The Media Library is a large interactive library of audio visual and printed materials…. [The] Theater is a general purpose space for experimenting [with] the conjunction between media technology and the performing arts (www.zkm.de). Just as the Center has multiple departments, Koolhaas’s cube, like all cubes, has multiple dimensions and axes. And most critics see in Koolhaas’s design an attempt to position and organize along each of these axes the seemingly contradictory dimensions that the facility would have to incorporate: center and periphery; the classical and the futuristic; tradition and experimentation; and demonstration (public areas) and production (private studio areas) (Werner, 1991, p. 87). Koolhaas’s design attempts to embody, in a single structure, these contrasting ideologies—and, in the process, to construct the ideology of the “media center” itself. In linking these seemingly incongruous programmatic elements within a regular, clean cubic form, Koolhaas’s design also links ideologically several seemingly opposed ideas. By architecturally connecting a traditional museum recording the history of contemporary art; an interactive media “museum,” or laboratory, with computers and audio-visual recording studios; an experimental theater; and a library containing archives and databases, Koolhaas brings the traditional arts into contact with new media arts—and thereby decreases the ideological distance between them. His design “is charged with restoring a correct relation between the manually-based traditional arts and the abstract knowledge underlying digital technology” (Pogacnik, June 1990, p. 79). Marco Pogacnik (June 1990) claims that by integrating old and new, the ZKM brings “research…down from its traditional ‘ivory tower’ and into the real world” (p. 78). “The ZKM’s mission,” he continues, “is to see the design process as the transformation of reality into a ‘gesamtkunstwerk,’ a total work of art” (p. 79). Here, classical distinctions, divisions, and dichotomies are dissolved. Furthermore, this total artwork becomes an immersive space. Shaw (n.d.) explains, “Here the viewer is no longer a consumer in a mausoleum of images and objects, rather he and she are travelers, discoverers and creators in a dense new space of audio-visual information.” Again, as in the BNF, Koolhaas’s design plays with the idea of inhabiting information: in the ZKM, “the artist and the spectator are no longer confronted by an object or work, but are inside it, in a hyper-real space created by a mix of holograms, music, words, computer graphics, and laser technology” (Pogacnik, June 1990, p. 79). Koolhaas (1996) conceived of the theater as a “space where every single plane can be seen as a surface for projection; in that sense the entire space can be completely manipulated” (pp. 32-3). 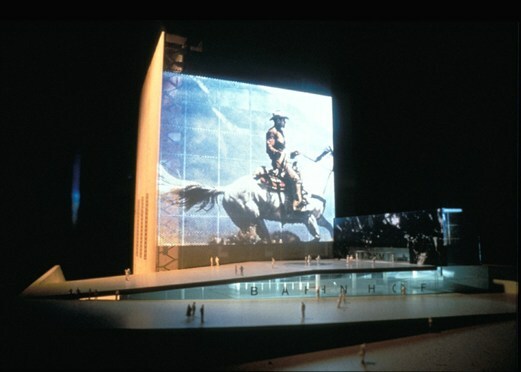 This “information space” theme continues through to the building’s exterior, where a structural shell functions as a gigantic telescreen, “a monumental ‘magic lantern’ that projects onto its exterior an ever-changing array of snapshots, scenes, and videoclips of the various activities that are going on inside the building” (Werner, 1991, p. 81). According to Koolhaas (1996), “the word, represented on the exterior of the building, presents to the outside a certain kind of message, in the most vulgar communicative sense” (p. 34). Koolhaas revisits the architectonic illusion, which appeared in his design for the Jussieu libraries, too. Pedestrians passing the ZKM would see it as a “black block which does not reveal its true content”—“a screen on which spectacle is projected” (Wortmann, 1993, pp. 22-3). As they approach the building, however, it “dissolves into an abstract and airy pattern of cylindrical shafts” (Werner, 1991, p. 83). What ideologies are communicated through this shift from slick screen to mechanical structure? Could Koolhaas have planned this perceptive shift to represent the ZKM’s commitment to both traditional mechanical media and new digital media? Could it symbolize the deceptive ability of visual technologies to hide their mechanical natures and internal structures? Regardless of Koolhaas’s intention, Werner claims, “what matters most about this enormous visual barrel organ is its metaphorical significance: the medium is the message” (p. 83). And in Seattle, through what medium will OMA convey the Seattle Public Library’s message? What ideological messages—about the place, the public, and the library—will the architectural medium embody? How will those messages be negotiated and codified—or, as McLuhan might say, “massaged”—into a physical structure?